A lot of you have been asking how I come up with meal ideas based upon what we have on hand/what is on sale and marked down at the store. I don’t have some sophisticated system; it’s honestly just the result of lots of practice! For instance, when I was at the grocery store last Sunday, I found a loaf of homemade bread + Sargento cheese was just $1.49 each. I instantly made a mental note to put Grilled Cheese Sandwiches on the menu for one of our busy nights of the week. 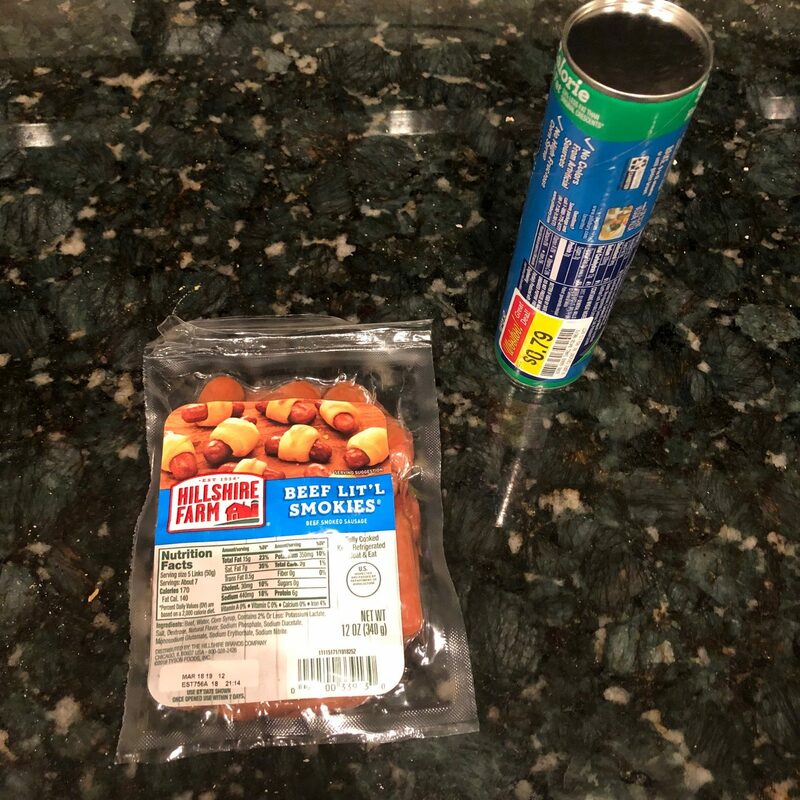 I also saw that Beef Smokies were on sale for $1.88 and I found crescent rolls marked down to $0.79. So guess what I made for our family Super Bowl party? Yep, Pigs in a Blanket! 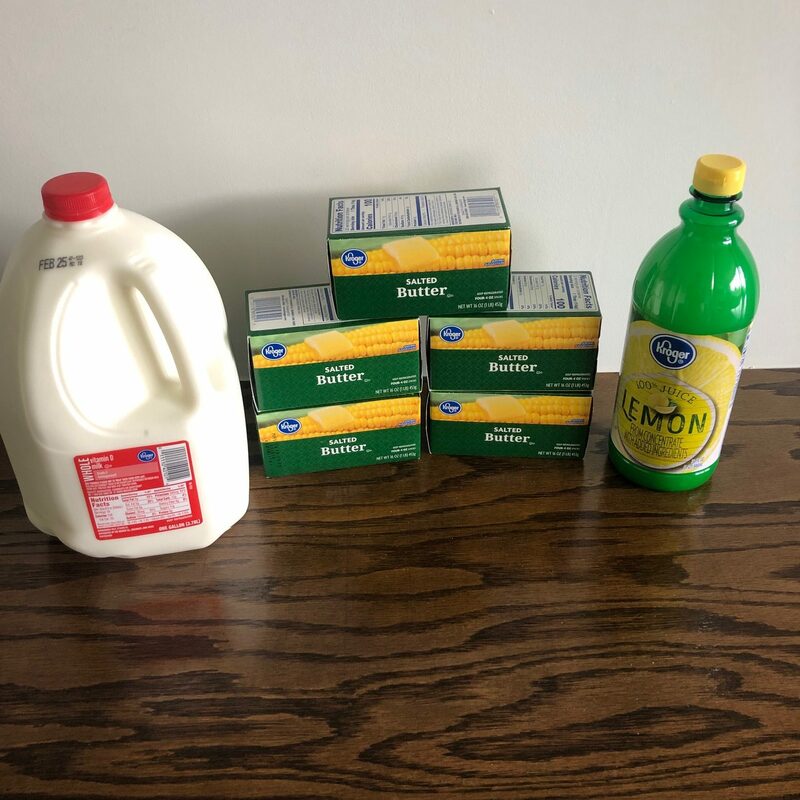 We also had gotten all those bags of chips for $0.99 at Kroger and I had gotten a great deal on Refried Beans, I had gotten Guacamole for free last week, I had some sour cream I had found marked down, and we had some salsa and cheese. So I made another re-invented Layered Dip for our Super Bowl party, too. This is how we roll around here. When I find items marked down or a great deal on something, I think about whether it’s something we will use or something we could use. I ask myself whether we have the items needed to make something with it, if it’s something my family would like, if we have the money in the budget for it, and if we can store it (if we won’t eat it right away). If so, then I think about how much I should buy based upon how much I know we’ll use, what the price is, and how much money we have left in the grocery budget that week. One of the companies I work with sent our family a fancy s’more kit for Christmas and I had stuck it in the freezer. 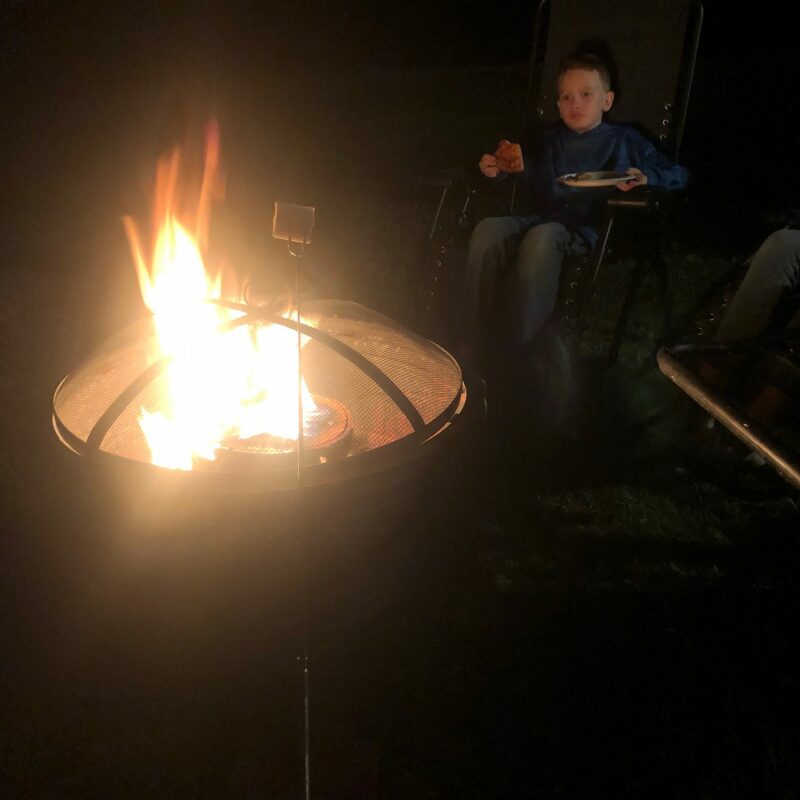 We pulled it out on Monday and had a little fire pit and roasted s’mores. It felt all fun and fancy — and something you usually wouldn’t do on a Monday. It was a memorable way to kick off the week! 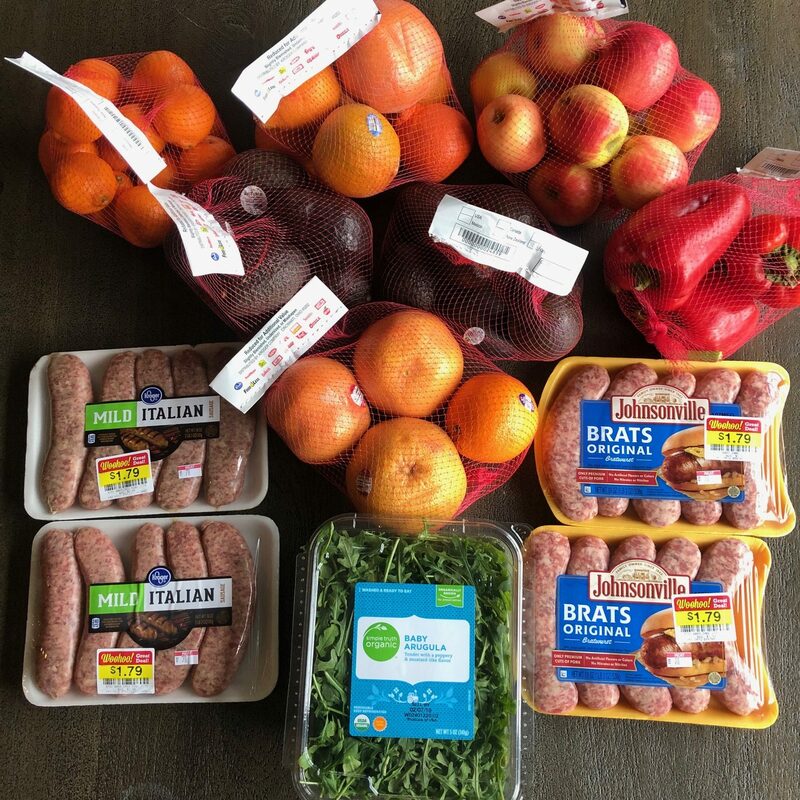 We were almost completely out of fruit, so I was so thrilled to find all these produce markdowns! 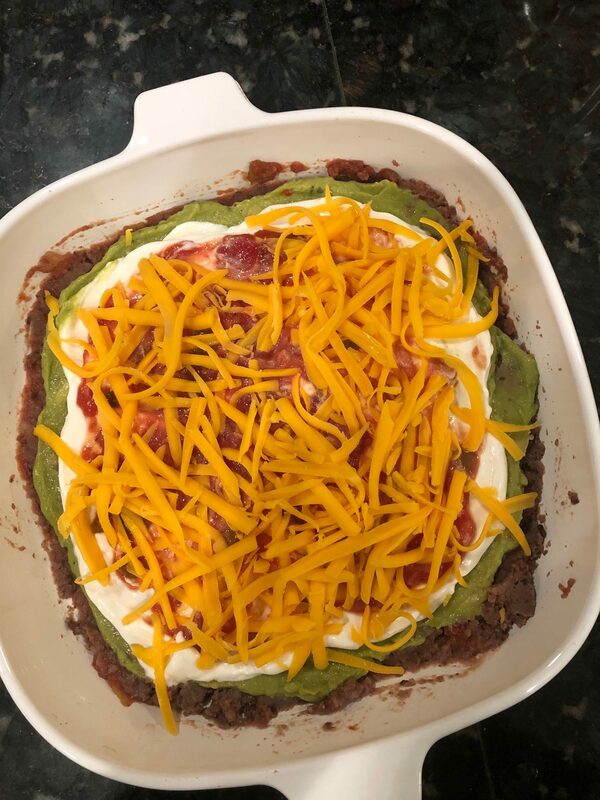 I saw a Taco Casserole recipe on Facebook this week and it inspired me to make my own twist on it. I layered ground turkey with taco seasonings and canned tomatoes, then cheese, then cornbread. 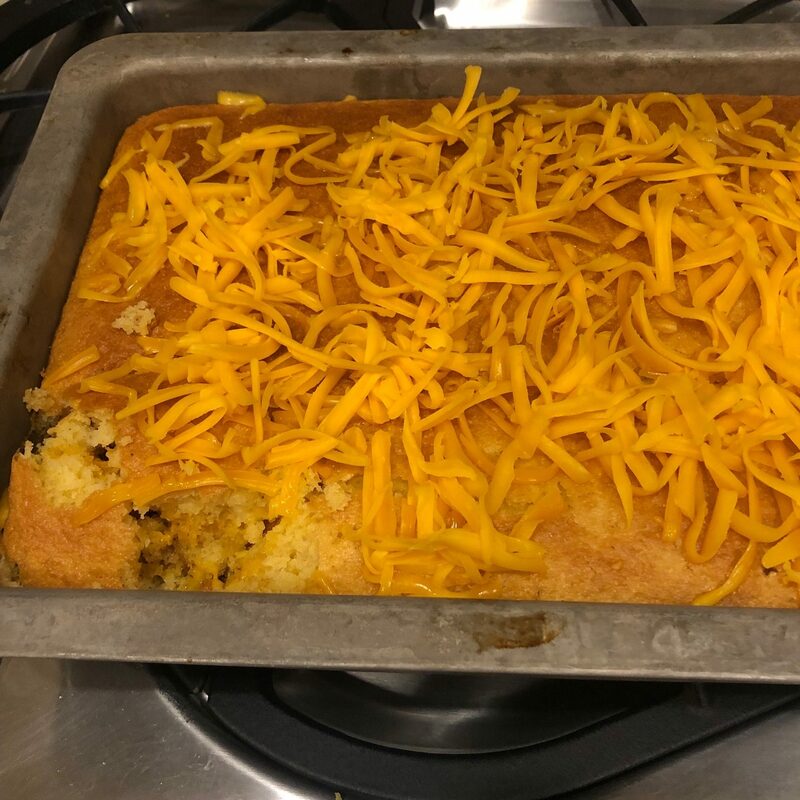 I baked it and then we topped it with more cheese. It was a HUGE hit! 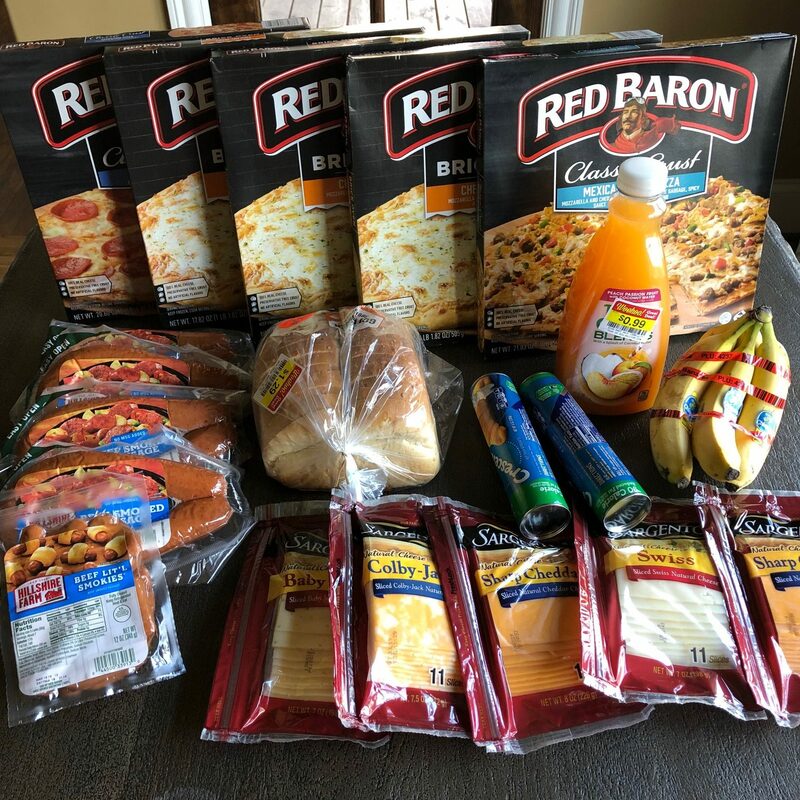 Cashback earned this week: 100 points for submitting my receipts to Fetch rewards+ $1.60 back from iBotta for buying bread, Red Baron pizza, sliced cheese, and scanning a receipt.